Introduce a new sales document numbering practice to your Magento 2 store with Custom Order Number. Set custom IDs for orders, invoices, shipping documents, and credit memos to manage your sales doc numbering in a convenient way and comply with legal requirements. One of the most important aspects of document management efficiency is keeping the records in order and ensuring their accuracy. 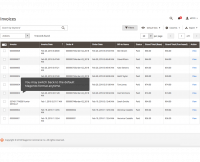 By introducing custom numbers to orders and related documentation, retailers are able to adjust existing document numbering practice to their specific workflows, which results in a more effective and accurate document processing. Default document numbers is Magento’s weak point as they make it possible for savvy users to calculate approximate sales volumes of their competitors. To ensure the sensitive revenue data is safe, a custom order record numbering approach is an absolute must for online retailers. Efficient and fast order fulfillment gives an essential competitive advantage to ecommerce business owners. Ensuring accurate document numbering that is tailored exactly to your business needs is a vital step towards improving your order fulfillment process, and the Custom Order Number extension can give you a helping hand in that. Ability to reset the counter automatically coming soon! Sales doc IDs become more informative with custom prefixes, postfixes, etc. 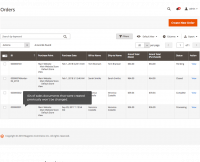 Magento 2 Export & Import Orders extension – Ensure fast and error-free migration of multiple order records between Magento 1 and Magento 2 installations, as well as third-party ERP systems. Download import/export logs and monitor the entire transferring process. 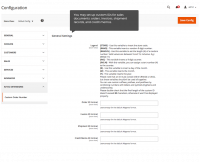 Magento 2 Preorder & Backorder plugin – Provide your customers with an opportunity to easily order the items that are temporarily out of stock and receive soon-to-arrive products first. Get payments for purchases in advance and automatically notify buyers when the goods arrive via email. Delete or Archive Order for Magento 2 – Take advantage of the opportunity to brush up your order grid in Magento 2. Sort existing order records by removing the unnecessary or irrelevant ones, archive them with just one click and restore them whenever you need. Custom Order Status Magento 2 extension – Provide timely order fulfillment by keeping track of customer order lifecycle on a daily basis. Set up automated email notifications to instantly inform your employees about order status change. Essential for my business. We export orders data to a third party software so I need to change order IDs all the time. This module is a great help. It’s simple to use, helps me keep my orders organised and stay in control of their number progression. As we have 3 stores, I’m happy that I can differentiate my orders. This ext is great if you need to export orders data to other solutions. Helps me a lot with my orders management. i use it for multistore pretty good ext. helps me organize my orders and export them for shipping. and the support rep is very nice, i love that i get answers within a day. 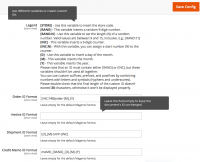 The easiest way to transfer Orders from/to other versions of Magento and third-party software.